English: A Fordson Armoured Car of No. 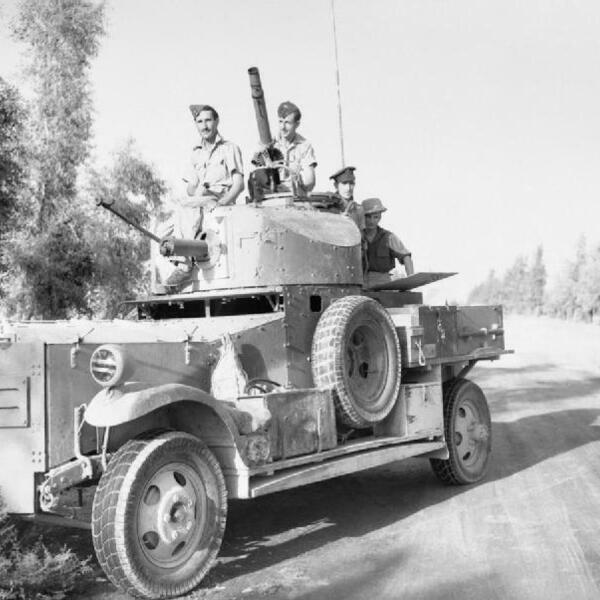 2 Armoured Car Company RAF, operating with 'Habforce', waits outside Baghdad, Iraq, while negotiations for an armistice take place between British officials and the rebel government. Public domain This work created by the United Kingdom Government is in the public domain. Sergeant Major Devaney’s They Were Heroes presents moving portraits of warriors who have not been fully celebrated. His stories recognize the heroism of those who fought in these deadly conflicts and placed their lives at risk to assure the safety of their fellow Marines. For these Marines, no Medal of Honor is enough for their bravery. Nonetheless, though not his main purpose, Devaney calls attention to the practice of awarding medals itself, that often these warriors received awards that were below what their deeds merited. No less disturbing is the revelation that medals were often awarded by rank, and not always by action. The lives presented in Devaney’s book call attention to the fact that many heroes of these deadly conflicts have gone unrecognized.